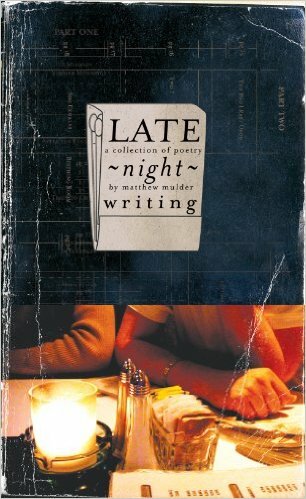 After nearly a decade since it was published, Late Night Writing is now available as an ebook for $1.99 at Amazon.com. The ebook features some new material — a Foreword by journeyman journalist/editor, poet, and founder of The Indie, Pasckie Pascua, an Introduction and an epigraph (of sorts). Late Night Writing is available as a Kindle ebook, and that means you should be able to read it on all Kindle devices as well as iPhone and iPad devices. For those who do not have an ereader or tablet, Amazon has an app you can download that will allow you to read ebooks from your desktop or laptop computer. Last month I re-read Late Night Writing and found, in retrospect, that reminds me of something Thomas Merton once wrote. I am interested to learn what you think of the collection of poems. Please leave your comments below or feel free to leave a starred review on the ebook’s Amazon page. Thanks for your support! Last year, about this time, I contributed to “Resonance” Art Opening/Multimedia Performance. The Grey Eagle Tavern and Music Hall hosted the event. I read some of my new poems at the time and then Philip (guitarist) and Julie (rock vocalist) joined me with a music/performance set based on my book Late Night Writing. Julie contributed an original song to the set while Philip added an original soundtrack. The collaboration between the three of us was inspiring (to me at least). It was kind of weird hearing Julie sing my poems “Fragile” and “Driftwood” back to me and to the audience. In a way it was a relief to hear someone else claim them, own the words, project the ideas. I miss that. There are a few live bootleg recordings of the three or four gigs we did together. Maybe when I find some server space, I’ll offer them as free downloads. One Saturday, after we resumed our painting ritual, I created “I’m Putting on My Socks” in honor of his drawings. Three other paintings were created that day (which I may post at a later date) and a series of twelve drawings. He told me I needed more gray. I told him gray was not a color I liked to use because it’s too bland. He insisted by adding a few strokes of his own. After moving him back to his canvas, I conceded. Gray became the visual language that supported the red, black, copper and white motifs. I don’t know if there will be a “Resonance” Art Performance this year. Whether collaborating with adults or children, an artist needs support in order to grow. Hearing a poem or viewing a painting from another perspective opens up a world of opportunity. Irving Stone mused that “Art’s a staple. Like bread or wine or a warm coat in winter… Man’s spirit grows hungry for art in the same way his stomach growls for food.” For those who have supported my growling stomach, I thank you.